Italia, Abbazia - Vintage Italian Travel Poster. 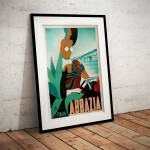 The Artwork for the original Colour Lithograph was created by M. Romoli, printed by Barabino & Graeve, Genova and Published by ENIT (Ente Nazionale Italiano per il Turismo) in 1938. 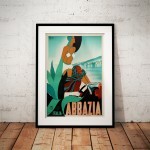 "Abbazia", today is Opatija, and is a historical seaside resort on the Kvarner Gulf on the Istrian Peninsular. 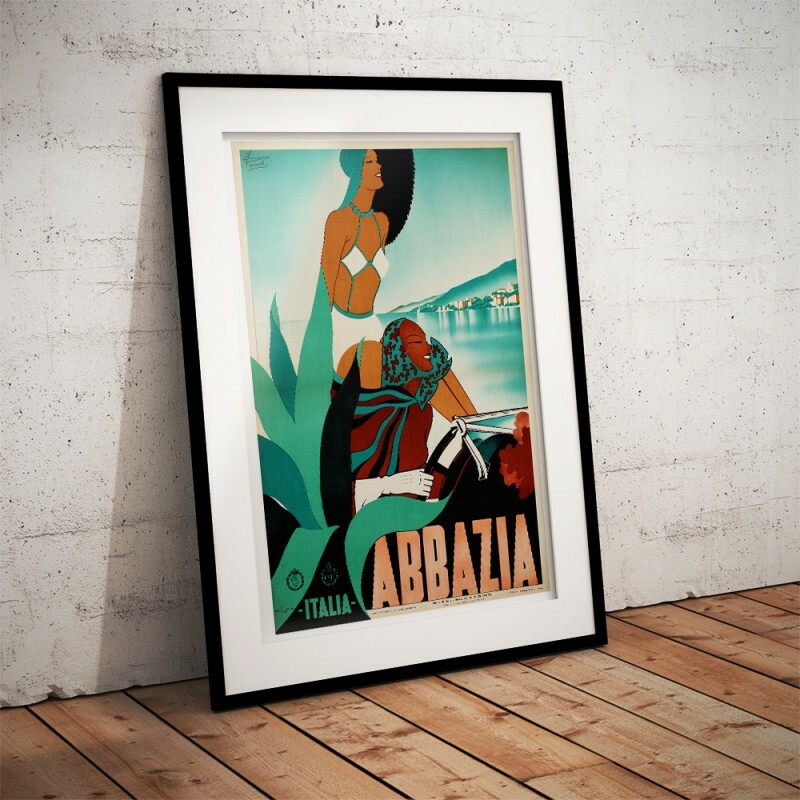 It is known for its Mediterranean climate, its historic buildings reminiscent of the Austrian Riviera. Istria is the largest peninsula in the Adriatic Sea and is located at the head of the Adriatic between the Gulf of Trieste and the Bay of Kvarner. The Austrian Empire ruled entire Istrian territory from 1814 until 1918. During the First World War, Istrians were conscripted by the Austro-Hungarian Monarchy. By the end of the WWI and the collapse of the Monarchy, the Kingdom of Italy occupied Istria. During WWII Istrians organised a resistance movement opposing Benito Mussolini and fascism. When the war ended Istria became part of Yugoslavia. 1991 saw the break-up of Yugoslavia and international recognition of independent states of Croatia and Slovenia. Istria became one of the twenty counties in the Republic of Croatia in 1992. 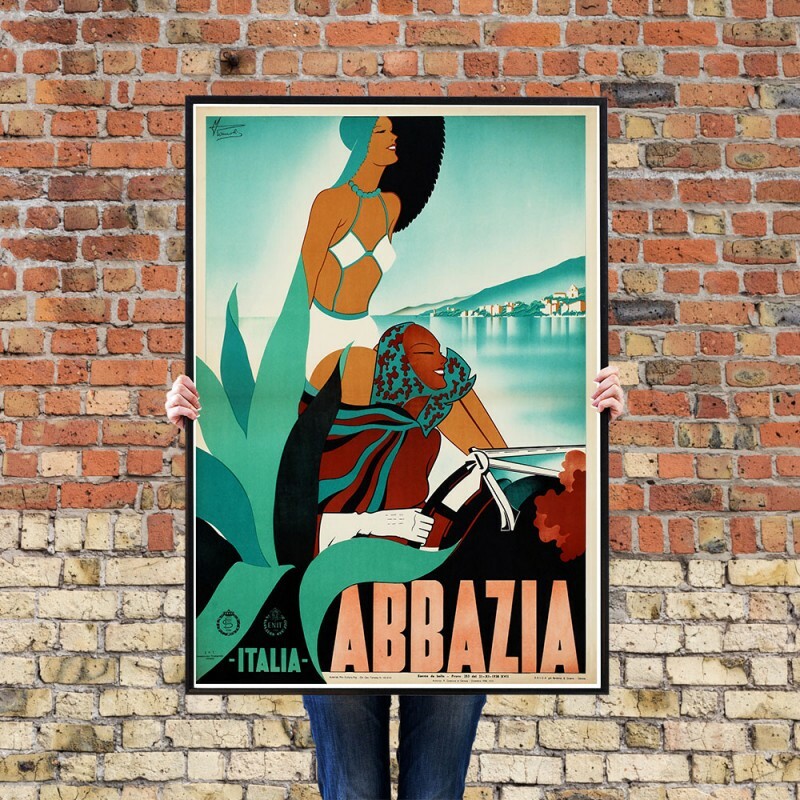 The 'Italia, Abbazia' Poster has been created from an original poster. 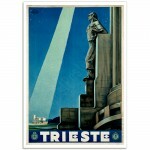 Trieste Faro della Vittoria - Vintage Italian Travel Poster. 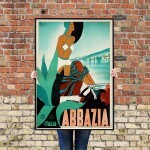 Beautiful Trieste!This poster was desig..